Please see below information for businesses in West Lothian to help reduce waste and encourage recycling. Every year, 53,500 tonnes of food is wasted from Scottish restaurants, costing an estimated £64 million. Around two-thirds of this food waste could have been avoided and 34% of this is estimated to be 'plate waste' - good food left by the customer at the end of the meal. 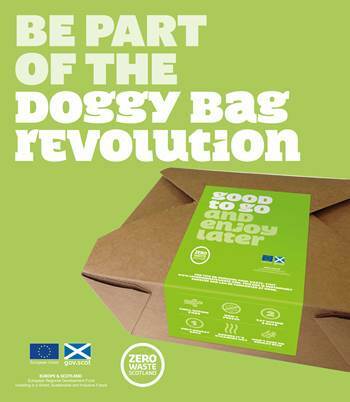 Zero Waste Scotland have developed the 'Good to Go' scheme to encourage restaurants to reduce their food waste by encouraging customers to take their leftover food home with them. They are currently offering FREE starter packs of 300 boxes, bags and communication materials to businesses employing up to 250 employees. For more information please see the Zero Waste Scotland - Good To Go website.